Royal Caribbean has reversed an earlier decision to transfer Majesty of the Seas to the Pullmantur brand and will instead send it to dry-dock for major improvements. In November 2014 Royal Caribbean announced that the ship would be transferred to the Pullmantur brand in April 2016. She is the last remaining Sovereign-class ship in the fleet, as both Sovereign of the Seas and Monarch of the Seas were transferred to Pullmantur in 2008 and 2013 respectively. Royal Caribbean has said this U-turn was due to “popular demand”. Instead the 74,007 gross ton ship will now enter dry-dock and receive major family-friendly upgrades befitting of a ship to be home-ported in Port Canaveral, Florida, in summer 2016. Voom, reportedly the fastest Internet service at sea, will be available free of charge for all guests on-board. Royal Caribbean is confident the unlimited service will be capable of handling emails, social media, video streaming and online gaming. Family-friendly Jacuzzis will be installed as well as a poolside movie screen. New waterslides for guests of all ages will also be added. The first major waterslides to be introduced on a Royal Caribbean ship were announced for Harmony of the Seas in February. The Dreamworks Experience, featuring activities and entertainment with Shrek, Fiona and other favourite characters from the animation studio’s popular movies, will also be offered. An enhanced casino will offer gamers a variety of the latest popular slot machines and table games. In terms of dining, the Japanese style restaurant Izumi will be installed and will offer fresh and flavourful sushi rolls and sashimi. Sabor Taqueria, a Mexican style restaurant, will offer authentic, modern and unexpected Mexican dishes, including hand-made table-side guacamole. This restaurant will also feature an outdoor area and will offer alfresco dining. Chef’s Table, an exclusive experience hosted by the Executive Chef and Sommelier, will also be installed. Following her spell in dry-dock, Majesty of the Seas will sail three- and four-night cruises to the Bahamas with visits to the cruise line’s private island destination, CocoCay. 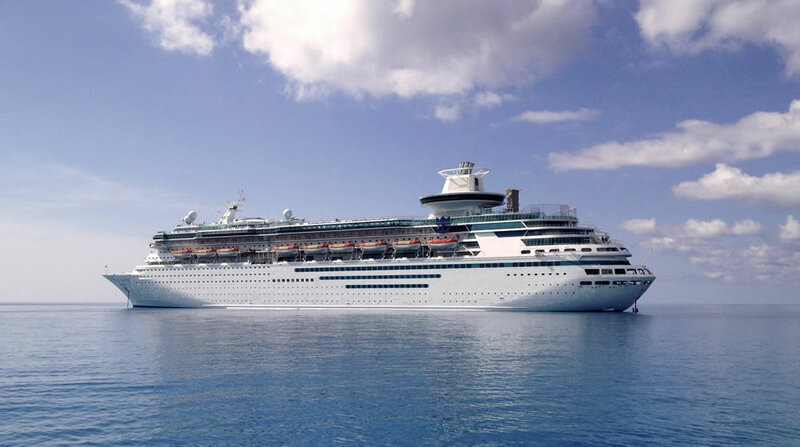 By deploying Majesty of the Seas in Port Canaveral, the company has also announced it will redeploy the 78,491 gross ton Rhapsody of the Seas to Tampa, Florida. Instead of sailing short Bahamas itineraries from Port Canaveral as previously announced it shall instead sail seven-night Western Caribbean cruises in winter 2016.